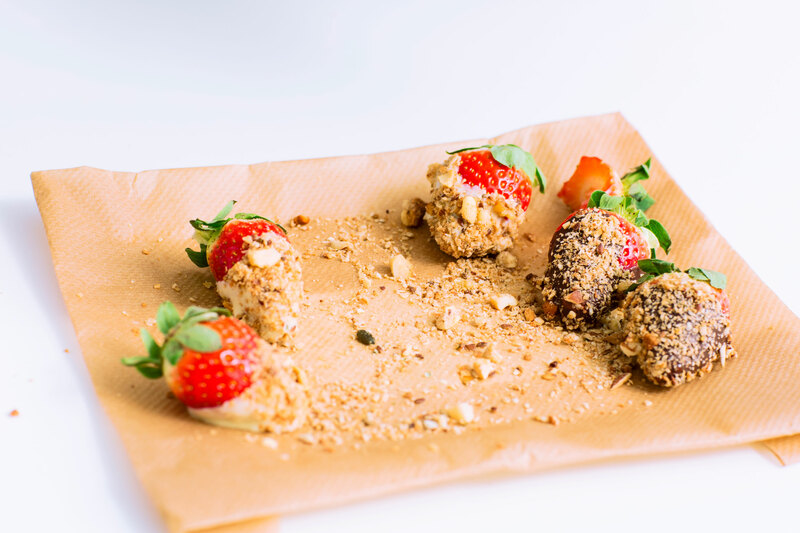 These juicy strawberries with a layer of chocolate and crunchy granola are super healthy snacks. And a delicious treat, of course! Heat the chocolate au bain-marie and stir from time to time until the chocolate is completely melted. Cover a tray with the baking paper. Dip the strawberries in the chocolate and subsequently in the granola. Then you can put them on the baking paper and let them cool down in the refrigerator for two hours. Bon appétit! Tip! You can make this treat even healthier by replacing the chocolate with yoghurt.